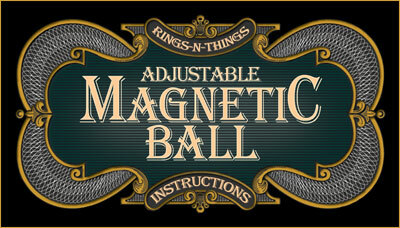 Our Magnetic Balls are the best in the world! We make a wide variety of chopped cups, with varying strength and polarity. It was absolutely essential to us that our balls be versatile enough to work in any of our cups, so many years ago we created the "Adjustable Chopped Ball". Following our easy instructions, you can tweak the position of the gimmick in the ball so you can fine tune your ball to just the right strength - a strength that YOU prefer for your particular cup. Each of our 5/8 inch (15.8 mm) Crochet Balls is expertly crocheted by hand with the highest quality cotton/polyester thread over a hardwood core ball. The wooden core is 1/2 inch, the jacket adds an additional 1/8 inch. Because our balls are crocheted by hand, the crocheted jacket is tight around the ball and not loose like balls produced by machines. The ranges of colors we produce provide a rainbow of color choices so you can select colors that contrast with your working surface, the cups and your wardrobe or costume. Remember to select a ball color that will really show up against your working surface. It would not make much sense to use a dark ball on a black mat, or to use a white ball if you wear a white costume. The spectator must always be able to SEE the balls even when held in your hand in front of your body, or when they are simply resting on your working surface. Brighter colors will be more visible (and will make the balls look larger) from a greater distance. Rings-N-Things balls last for years. Recently we had the pleasure to handle a Rings-N-Things balls that was over 20 years old. It had been used in bars, restaurants and many, many shows. The ball had been on barroom floors, under tables, under coolers - and really used. It still looked new. The thread was tight and the ball was rock solid. The hardwood core makes a difference in longevity. It's wood. It's natural. It lasts a very, very long time. A hardwood core allows the balls to be machine laundered safely. The hardwood core will not absorb water and detergents are no hazard to the surface of the wood. 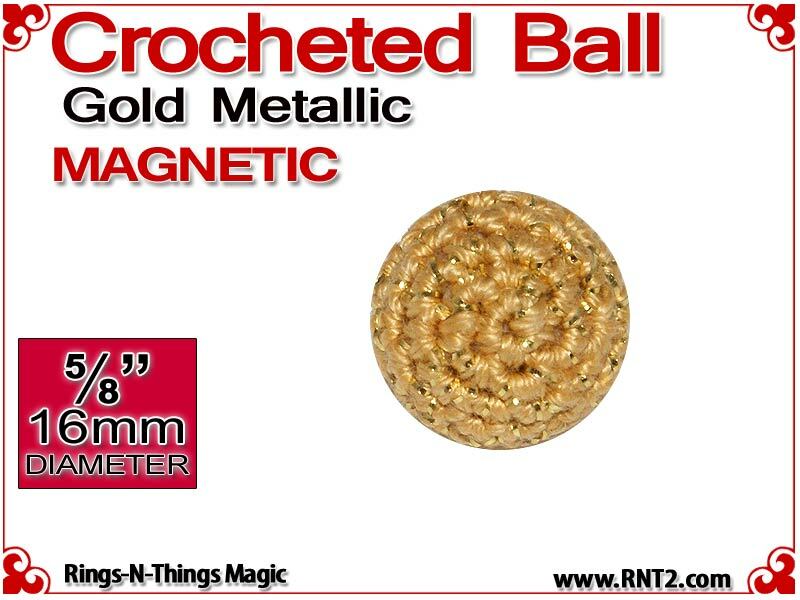 There is a difference between "knit" balls and our "crochet" balls. A knit ball is constructed from a section of yarn that has been knitted (usually machine knitted) and then retro-fitted to the ball. This results in a bulkier, loose fitting jacket over the core. A crocheted ball is constructed with the thread actually hand-crocheted around the ball. This results in a tighter, custom fit jacket over the core. The hand-crocheted jacket results in a superior ball. Our Crochet Balls can be safely laundered in cold water (to preserve color) and detergent. It is highly recommended that the balls be placed in a lingerie bag or some other mesh bag that would be used for delicate fabrics. This ensures that the balls will not get trapped in recesses in the washer or get lost in the washer. Simply put the balls in a mesh bag and throw them in with other cold water laundry to keep them clean and fresh. Air-dry the balls. It is not recommended that the balls be placed in a dryer.